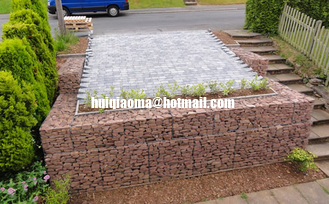 Welded gabions are wire mesh containers welded with high quality steel mesh. They can be filled on site with hard durable stone materials to form mass gravity retaining structures. Owing to their inflexibility, welded gabions can not adapt to differential settlement or be used in water courses. In comparison with woven wire gabions, welded gabions offer a higher strength. In order to meet different project requirements, various wire diameters and unit sizes are available for welded gabion boxes. 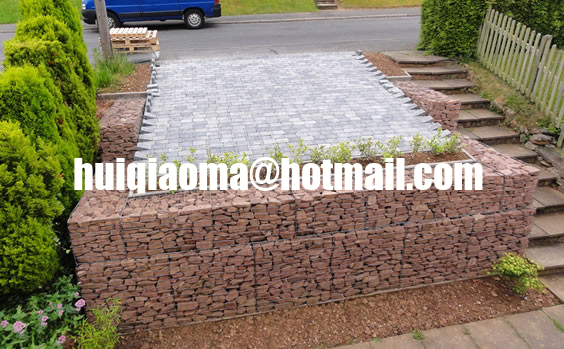 Welded gabions are faster to erect and do not need tensioning. This allows them to keep their shape, to be free from bulges and depressions and fit easily against the wall. Mesh Size: Mesh openings should be square of nominal dimension of 76.2mm on the grid. Mesh Wire: Nominal wire diameter should be 3.0mm to BS 1052. Joining: Welded gabion should be provided with lacing wire for site assembly, which should be of minimum wire diameter 2.2mm for final joining.